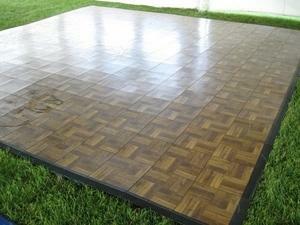 Dance floors in sizes up to 24' by 24' for use indoors or outdoors. Prices vary by size and setup surface. Call for a price quote.